Join our Get Lean Team and let’s make 2016 the best year ever—together! $50 Reebok gift card for the Overall MVP. Signed copy of "Extreme Transformation" for Most Liked Player. Rise Up Tribe bracelet for Most Liked Comment. When is the next Diet Bet? I thought I saw one coming up but cant find it now. Did it already start? What is the book called that Chris and Heidi wrote that is about the carb cycling? I'm wanting to order it online but I'm not sure which one it is ? Well regardless of how much is won, this is an amazing weight loss tool! Beckysjourney , L and 15 others like this photo. Congrats on your impressive progress! Jennifer D. , Alyssa F. , Becky and Readytobefit like this comment. It's because it's January and everybody made it their New Year's resolution to lose weight. I thought this game lived up to its name: kickstart! 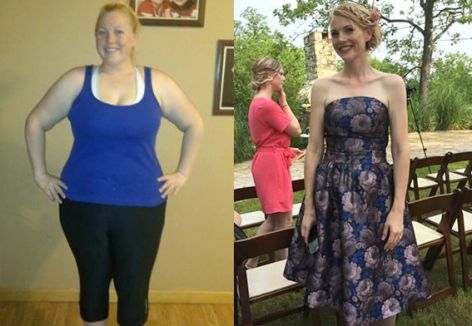 I'm SO glad I did this and I lost 10 lbs. The money was just a bonus. I really track what I eat now and having to have a goal with deadlines works to keep you accountable. I loved this and I'm doing a transition game as well! Michelle W. , Mandy and 6 others like this comment. SarahFit4my2boys , Mandy and 7 others like this comment. I can't get mine either. Keeps telling me to click the link to verify the amount I'd correct but I don't know where to go from there. Very frustrating. When I started DietBet in October 2015 with the game Transformer, a six month program, I thought I would win a lot more money than I did. It was disappointing at first, but then I realized that the games inspire me to stick with my weight loss goal. As of today, I have lost 10 pounds. I am only 5'4'' and over 60 so LOSING 10 POUNDS is a major accomplishment for me. I am 2/3 of the way to my goal of 125.9 pounds. I could not be more happy and, I must say, I look good and feel great. Thank you Heidi and Chris and all the game coaches. Beckysjourney , Becky and 7 others like this photo. you look great... young looking too! I see so many complaints from people about "only receiving $8." I believe this "game" is used more for a weight loss tool. The goal is betting against yourself and that you can lose 4% of your body weight. I am thrilled and so very happy for the winners and the losers. We all joined this game for one reason and that reason is to better ourselves and lose weight. 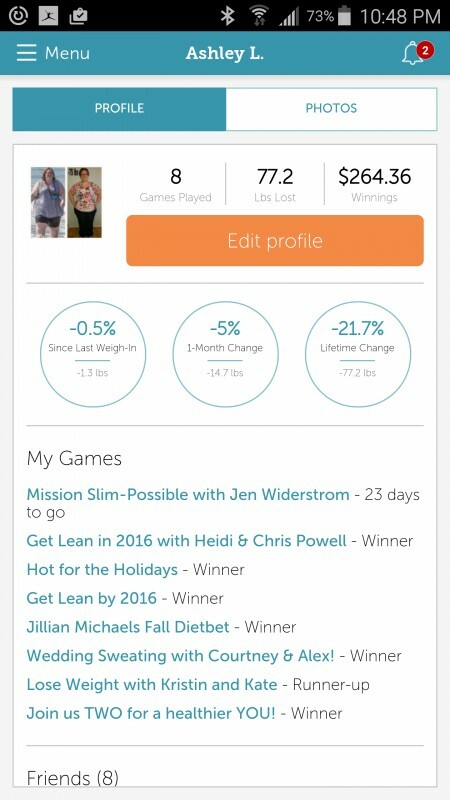 This tool or game helped me lose 11.2 pounds and I can't be happier. I would do this all over again and probably will even if I only received a $1! My health is more important to me and my top priority. I am thrilled with my $8!!!!!! Good job everyone!!!!! Michelle W. , Beckysjourney and 27 others like this comment. wow I have lost 11lbs because if joining dietbet. All I wanted was to get my money back. And in the process I have given up sugar and feel so proud if myself. The support and just the place to speak to people with similar issues has been amazing! Thank you to all. This is about losing weight and not a get rich scheme.You invested $30.00 dollars on yourself. If you met the goal of losing 4 % of your weight you received your money back along with an $8.07 (26.9%) bonus, you lost weight , learned somethings about yourself. You bet on yourself and won. You received advise, encouragement, support along the way. What's there to complain about. It's a win win all the way around. Great job to everyone . 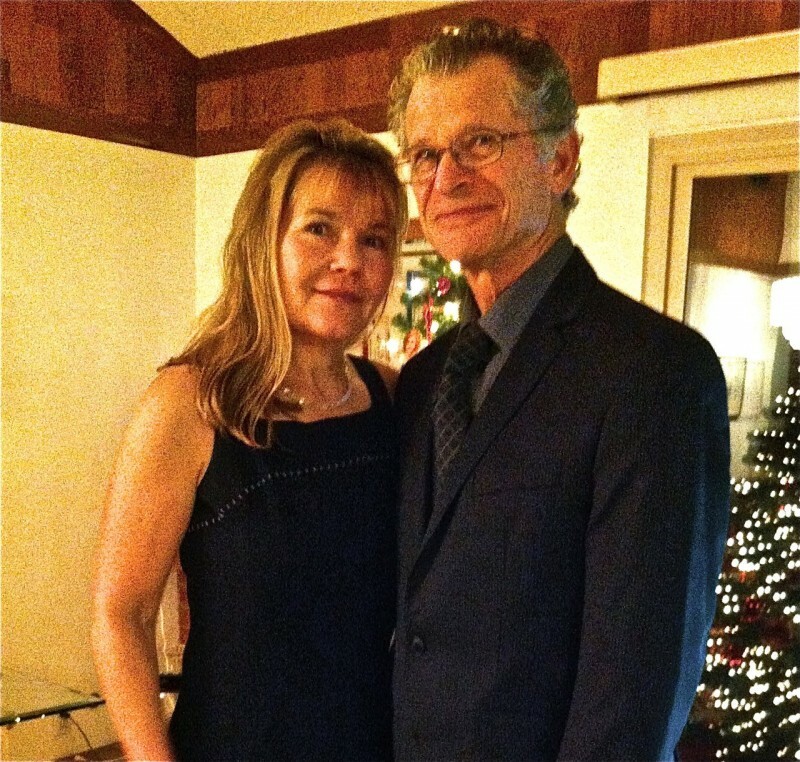 Welcome to Get Lean in 2016 with Heidi & Chris Powell!